Cori over at Olive to Run shared a fantastic idea on her blog last week that I wanted to take part in. Cori chose one word to focus on and center her year around. I loved that idea, so thought I’d share my one word. 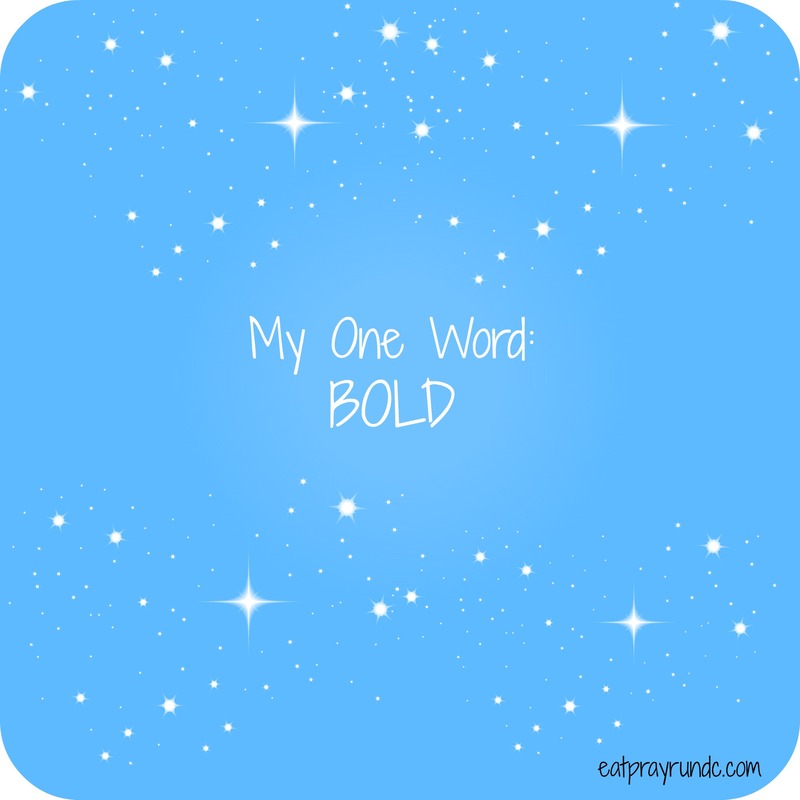 In 2014, I will be bold. I will take chances and risks. I will make bold choices in my professional life, in my personal life and in running. I will not be timid or weak. To me, living boldly means forging ahead focusing on the goal.That is what I want this year to look like for me. I want my prayer life to be bold as well. One of my goals for this year is to put God first and I know I have to strengthen my prayer life in order to do so. I want to pray bold prayers, dream bold dreams and live a bold life. I love this! Too often we women feel like we should be quiet and demure but there is nothing wrong with being bold … celebrate it! BOLD! I LOVE it 🙂 Great choice! Thanks Cori — I loved this idea! BOLD is a great choice. It’s one of my favorite words. Love this! I have been working on thinking of mine! BOLD is a great word!!! Good luck in all of your endeavors! My word is Adventure! Bold is a great choice! Best wishes in 2014 being BOLD!!! Preshii @ The Coily Bombshell recently posted…Keeping track of your fit journey. adventure is a good one! I love the choice of Bold for your word of the year! Mine is Commitment. I really need to prioritize those things that are important in my life (family, work, health) and re-commit to them. Mine is Strength. Lots going on and I need to buckle down and be strong! Bold is an awesome word! Love it! I’m not sure what mine would be. I’d have to think about it for a while. Your post made me think of the song BRAVE! The one by Nichole Nordamen and the one by Sarah Borellis! Go be Bold and Brave this year Courtney!